Two words you never thought you would see in the same sentence: Grammar and Fun. But yet it is possible! Not only does it make it more engaging for the students, but it also helps to make it memorable. 1) Start by doing your homework. What do your students already know? How much time are you dedicating to the ‘teaching and learning’ of the grammar component? How complex should your explanation be? What sources have you used to research your explanations? 2) The teaching cycle you use to deliver your grammar teaching is an important consideration at this point. Take, for example, the teaching of single word ‘adverbs’. You could begin with giving them an explanation to copy followed by the opportunity to apply adverbs in exam style questions and finally the chance to ‘play’ with adverbs through, perhaps, moving them around a sentence and considering how the different versions change meaning – this order could be framed in three phases – explain, apply and play. Now consider the reverse version of the phases – play, apply and explain. 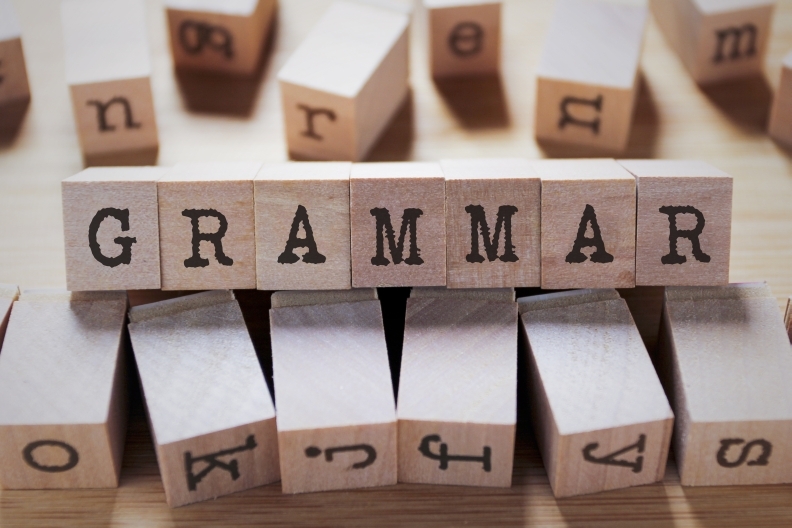 The latter considers the grammar component as something to be explored and experimented with, unlike the first version where the component is already fixed and determined by the teacher. In the ‘play, apply and explain’ version, students are being encouraged to find out the explanation for themselves having moved the adverb and considered it in every position in a sentence. They should then be challenged to make a link between the adverb’s position and the ‘writer’s intention’. Why might a writer put it at the start, for example. Here the emphasis is on the play phase as the gateway to understanding. And in the play phase, anything goes…well almost. 3) In the ‘play’ phase, exploratory and experimental activities should be ‘fun’. Think physical. Think multi-sensory. Think real life. BUT think about the ‘end goal’. What do they need to know? This should be at the heart of this phase. The following are some ideas for creating a ‘play’ phase in your classroom. Each student is given a flashcard containing words from a sentence. The sentence can be as simple or as complex as you choose depending on what grammar component you are teaching. The students line up with their flashcards at the front of the classroom. Ask students to move around and remove some of them. What happens to the grammar component you are teaching e.g. when the adjective is moved or removed? Jacob Mitchell advocates the use of real-life examples as a way of engaging learners. The WABOLL (What A Bad One Looks Like) is central to his theory of ‘hooking’ learners through what they might see around them in everyday life. Students love to spot other people’s mistakes. Creating their own WABOLLs in the ‘play’ phase might be another way to allow them to explore ‘bad’ grammar, and eventually they can go on and create WAGOLLs. Students should be given the opportunity to explore synonyms. Each group is given a set of sentences with a word missing (this will be the grammar component you are tackling). They are also given cards containing words that might fit into their sentence. If they use those words they are given 1 point. They can gain more points if they use a card from another team’s pile – colour code each team’s set so you can easily see who has switched and who has stuck with their original card. Once they have chosen their word, they should explain why they chose to switch or stick. This can lead into some excellent discussions about choosing the right word to create the right meaning. Students have an allotted time to describe a noun without using that noun. The student is recorded and then their description is played back to the class/group. They should then consider how they avoided using the noun; what did they use instead? This is a fun way to support the teaching of word classes e.g. use of pronouns, adjectives and prepositions. Students are paired – one is the artist and the other the director. The director and artist have their back to each other. The director is given a simple drawing e.g. a house and garden, and has to describe the picture to the artist so that they can create as close a copy as possible in an allotted time. The director must write down all of the instructions they give their artist so these can be reviewed at the end. At the end of the allotted time, the pair review the instructions given by the director. Where and when did the instructions work best? What words helped the artist most effectively? 4) The final point to remember is that after each ‘play’ phase, students should be led through the apply and explain phases to ensure that not only have they explored but critically they have had opportunity to apply and to practise the skills in a more formal context. Here, the ‘play’ is made meaningful by making the connection between why did we play that game? And why is it important that you know this grammar component?